What are Possible Late Effects of Chemotherapy? 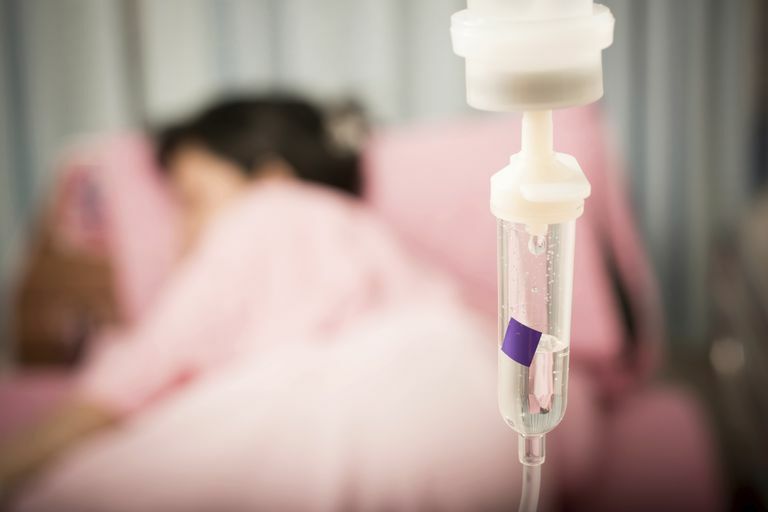 The long-term side effects of chemotherapy are important to understand even though the benefits of treatment usually far outweigh these potential risks. Many people are familiar with symptoms such as hair loss and nausea, but there are less well-known symptoms that may persist or arise months to years after treatment has been completed. Before addressing possible long-term side effects, keep in mind that everyone is different. Some people may have several of these side effects, while many will have none. Side effects also vary considerably depending on the particular chemotherapy medications that are used. Chemotherapy can cause cardiac effects early in treatment, but in some cases, the effects may not show up until much later. One notable example is heart damage following treatment with Adriamycin (doxorubicin). With this drug, a possible long-term side effect is weakening of the heart muscle, resulting in a decreased ability to pump blood through the body (heart failure). Symptoms may include increasing shortness of breath, fatigue, and swelling of the feet and ankles. If you have been treated with Adriamycin, your doctor may recommend a MUGA scan to monitor how your heart is pumping. Other cancer treatments, such as radiation therapy to the chest area, may cause damage to the heart muscle as well. Since left-sided radiation for breast cancer may also affect the heart and damage coronary arteries, it's even more important to talk with your oncologist if you receive these chemotherapy drugs. If you will be having both chemotherapy and radiation therapy to your chest for cancers such as breast cancer, talk to your radiation oncologist about the option for respiratory gating for left-sided breast cancer, a technique that can reduce the amount of radiation to your heart. "Chemobrain," a constellation of symptoms that include problems with memory and concentration, has only recently been recognized as a long-term side effect of chemotherapy. Chemobrain symptoms can be very frustrating and can include symptoms such as problems with short-term memory (losing your car keys), multi-tasking, and concentration, especially when you are tired. An awareness of things you can do to cope with the symptoms can be very helpful. In most cases, chemobrain symptoms improve over time. Primarily a concern for younger people with cancer, loss of fertility after chemotherapy can be heartbreaking. Infertility following treatment varies with the dose and type of chemotherapy medications used and doesn’t affect everyone. If you believe you may want to have children after treatment (for both men and women), talk to your physician about the options available to you before you start treatment. Methods such as preserving sperm or embryos have worked for many people, and research is looking into options such as freezing eggs as well. Peripheral neuropathy from chemotherapy is most often experienced as a sensation of numbness and burning in your feet and hands, along with constipation. This side effect occurs more commonly in people with a history of diabetes, alcoholism, or malnutrition, but may occur in anyone. While neuropathy may sometimes improve in time, it can also be a permanent late effect of chemotherapy. Some drugs that can cause this side effect in up to a third of people include Taxotere (docetaxel) and Taxol (paclitaxel), Other medications, such as Platinol (cisplatin), Oncovin (vincristine), and Novelbine (vinorelbine), can also result in peripheral neuropathy. One of the most common long-term side effects of Platinol (cisplatin), a medication used for many cancers including lung cancer, is hearing loss (ototoxicity). Other medications may also cause hearing loss and tinnitus (ringing in the ears). Osteoporosis (thinning of the bones) is the most common late effect of chemotherapy. Most chemotherapy drugs cause bone loss to accelerate and changes in diet that accompany cancer and its treatment can amplify the problem. The greatest concern over the long run are fractures that can result from this bone loss. Chemotherapy has also been associated with osteomalacia, bone loss related to a deficiency of vitamin D.
Hormone therapies for women with breast cancer and men with prostate cancer can be additive when combined when chemotherapy, and it's important to talk to your doctor about this risk. Many physicians recommend getting a baseline bone density measurement when beginning these therapies. The new to combine bisphosphonates for early-stage breast cancer in postmenopausal women may reduce this risk. Chemotherapy can cause scarring of the lung (pulmonary fibrosis) and decreased lung capacity in some people. This may be more pronounced when chemotherapy is combined with radiation therapy to the chest area. Certain chemotherapy medications, such as cisplatin, can cause damage to the kidneys and bladder. This can result in a decreased ability of your kidneys to filter your blood. Damage to the bladder can also occur and may be temporary or permanent. Symptoms of bladder irritation may include pain or urgency with urination, or blood in your urine. Steroids are often given along with chemotherapy or for symptoms and side effects related to cancer. This can hasten the development of cataracts in some people. Due to the mechanism by which chemotherapy medications work, they can cause DNA damage in normal cells, which may result in secondary cancers down the line. Some chemotherapy medications are more likely to cause this damage, with a category called alkylating agents being most likely (an example of these is Cytoxan (cyclophosphamide)). Medications used to treat lung cancer that may cause secondary cancer (though less likely) include Vepeid (etoposide) and Platinol (cisplatin). Late effects of cancer treatment, such as the long-term effects discussed above, are common. Many people find that there "new normal" is not what they would like, and feel frustrated that so little is said about these symptoms. This is changing rapidly, but many people still need to be their own advocates in order to have these issues addressed. It's only very recently that the term "survivorship" was coined, and research conducted looking into the long-range physical, emotional, and spiritual aspects of surviving cancer. Many of the larger cancer centers now provide cancer rehabilitation to help people maximize their new normal. The STAR program for cancer rehabilitation was designed specifically to address previously neglected symptoms that prevent cancer survivors from enjoying the quality of life they otherwise can. What Can You Do to Lower Your Risk of Long-Term Side Effects? Ask your oncologist about any late effects that you may expect from the particular chemotherapy drugs you were given. Are there any screening tests (for example, tests for heart problems, hearing loss, or osteoporosis) that she would recommend? Keep a record of your chemotherapy regimen with you in case you see a physician who is unfamiliar with your medical history. Let your doctor know if you experience any new symptoms or worsening of current symptoms you have. For childhood, adolescent, and young adult cancer survivors, long-term follow-up guidelines have been developed to address not only the long-term side effects discussed but other survivorship issues. American Society of Clinical Oncology. Cancer.Net. Late Effects. Hu, M. et al. Cancer therapies and bone health. Current Rheumatology Reports. 2010. 12(3):177-85. Institute of Medicine. Cancer Survivorship Care Planning. Fact Sheet. National Cancer Institute. Chemotherapy and You: Support for People With Cancer. Chemotherapy Side Effects.